It's party time in Tampa! Our pride and joy, your Tampa Bay Lightning, are charging into the playoffs and set to make history (and hopefully make it so last night is just a footnote in history). 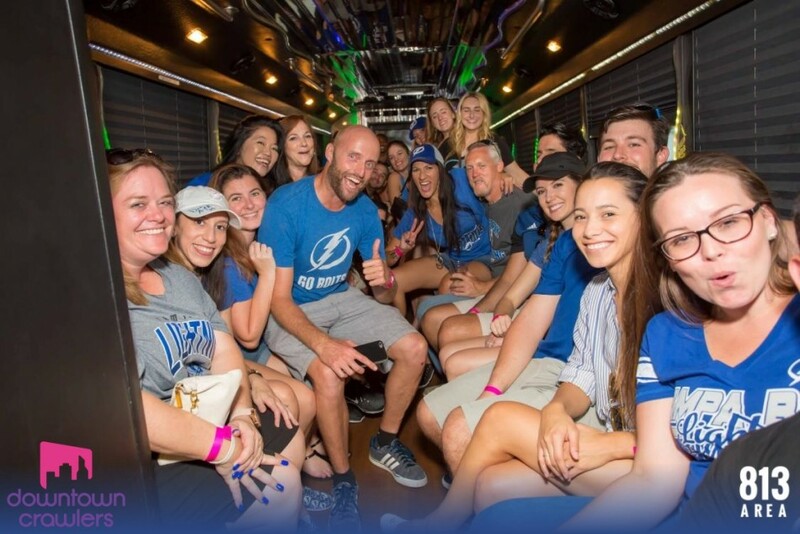 Grab your crew and make some plans to #BeTheThunder, as there's no better place to be than downtown during #CupSZN. We've got a hot list of things to do that will have your weekend buzzing! Make it Tampa-centric this weekend and head to one of Tampa's favorite hang out spots, Pete's Place North, for some of the best drink specials and good vibes around. Happy Hour until 8 p.m.? Yes, please. If you're really trying to make a memorable weekend, maybe the other Pete's Place for a karaoke fundraiser for autism! Same great drink specials and entertainment, all for a great cause. Whatever your weekend flavor might be, there's something going on for every taste! Go Bolts! Enjoy a musical journey like never before! 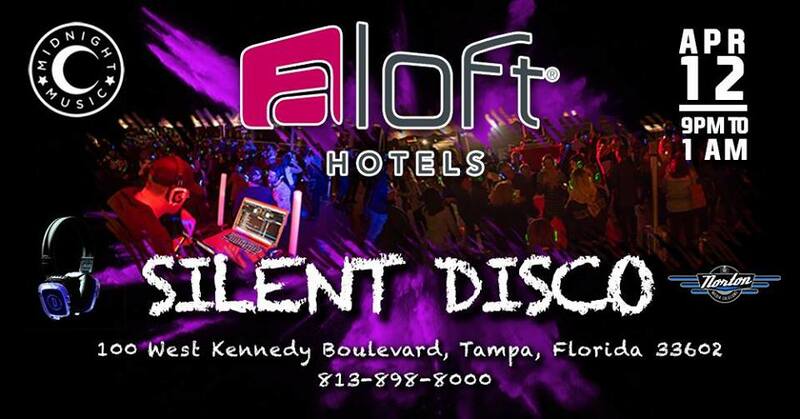 $10 gets you your own headphones and full control of your silent disco for the night. Three DJs will be playing the best in dance, hip-hop, 80s, 90s, and many other genres over three channels. Just tune in to your favorite jams and start dancing! 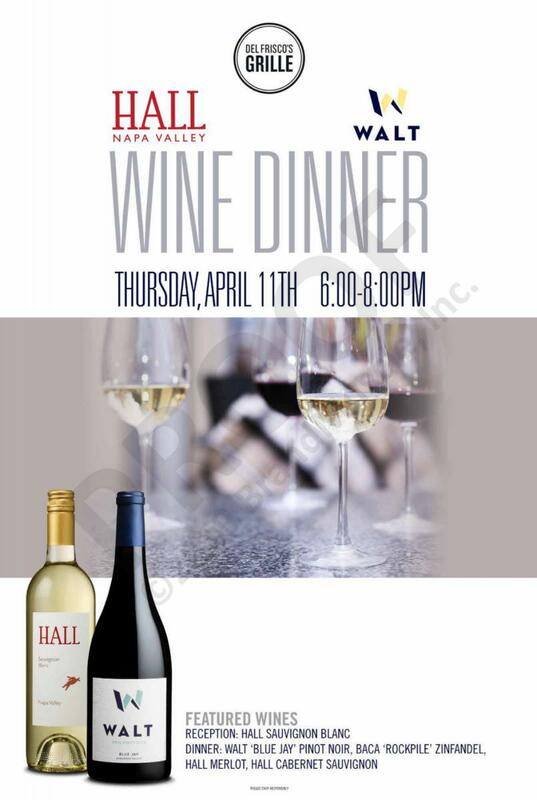 Sip on select featured wines while you enjoy a delicious Del Frisco dinner. For $110 per person, treat yourself to a dinner of prime wine, Yellowfin tuna, duck breasts, beef coulotte and a delicious chocolate truffle tart. The perfect date night experience! A letter that was never meant to be seen, a lie that was never meant to be told, a life he never dreamed he could have. 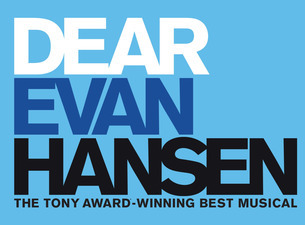 Evan Hansen is about to get the one thing he's always wanted: A chance to finally fit in. See the award-winning American musical about life and and how we fit in. 1010 North Macinnes Place, Tampa, FL, 33602. 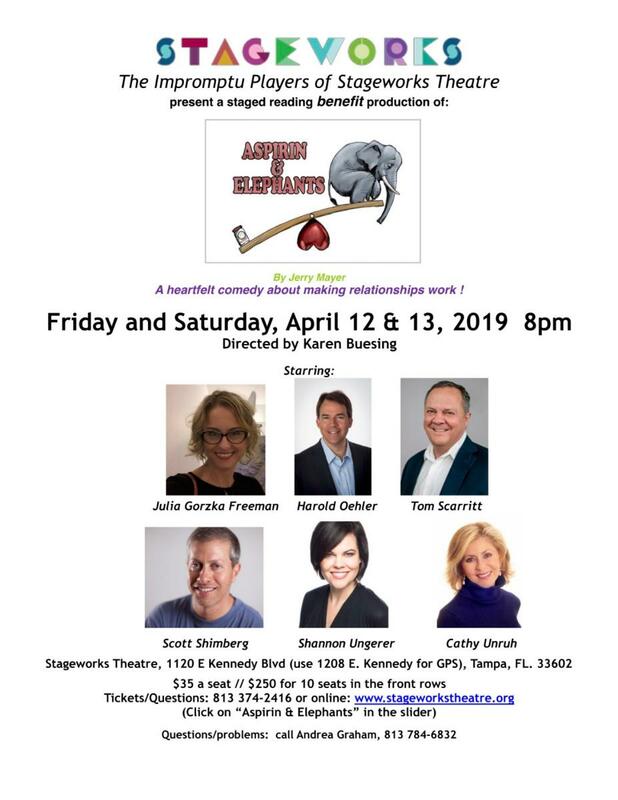 The Impromptu Players of Stageworks Theatre present a staged-reading benefit production of Aspirin & Elephants, a heartfelt comedy about making relationships work! Make it a real date-night with drinks before or after at District Tavern or O'Brien's Irish Pub, two of the best local watering holes in the city! Get acquainted with the amazing Tombow Brush Pen during this class at The Paper Seahorse. Once you learn the basic strokes and how to connect your letters, you can start making beautiful, picture-worthy lettering that you never knew you could do. Have you seen the pretty lettering all over social media and in the stores and want to try to do it yourself? Then this class is for you! In this basics class, you will learn how to hold a Tombow brush pen along with the basic strokes needed to create letters. 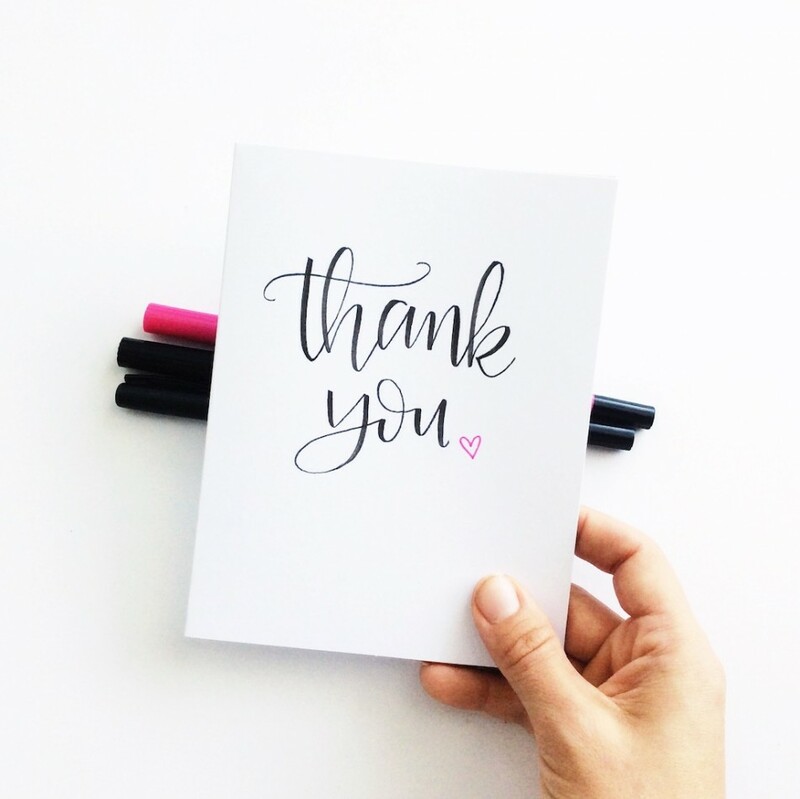 At the end of class you’ll leave with your own brush pens, practice sheets, and the confidence to continue lettering! See the rock n' roll icons bring the heat for the last time ever! 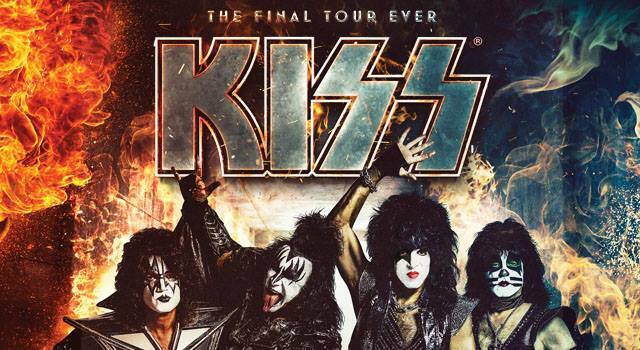 KISS comes to Amalie Arena for their farewell tour. Don't miss out on a rockin' time! Tickets are still available and start at $40. 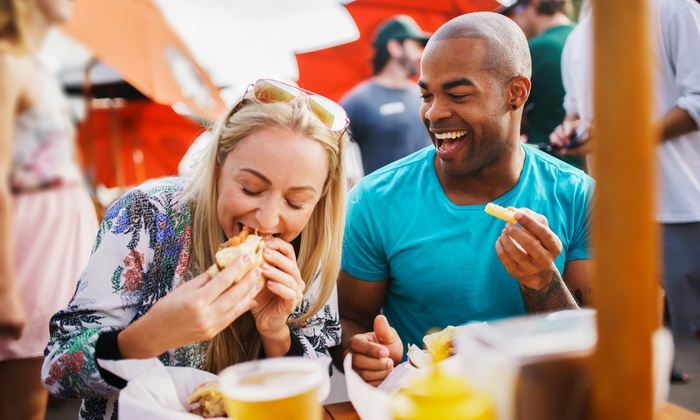 Enjoy tasty food samplings, sip drinks, and watch and vote on a local-celebrity and Fried Chicken Competition. Come hungry for a good time! Fun starts at 5 p.m. at Perry Harvey Park. 1000 E Harrison St, Tampa, FL, 33602. The Tampa Bay Blues Festival is one of the world’s finest blues music events, staged in the tropical setting of Vinoy Park on the shores of Tampa Bay. See renowned artists like Jonny Lang, Boz Scaggs and Tab Benoit rock out during this terrific three-day festival. The 2019 Stanley Cup playoffs are here and the Tampa Bay Lightning's quest for Lord Stanley's Cup starts now! Get the party started with Tampa Bay Crawlers. Tickets get you one free shot at each bar, transportation, bar games, raffle tickets and unlimited fun! Bar lineup is Franklin Manor, Yeoman's Cask & Lion, District Tavern and more to be announced soon. 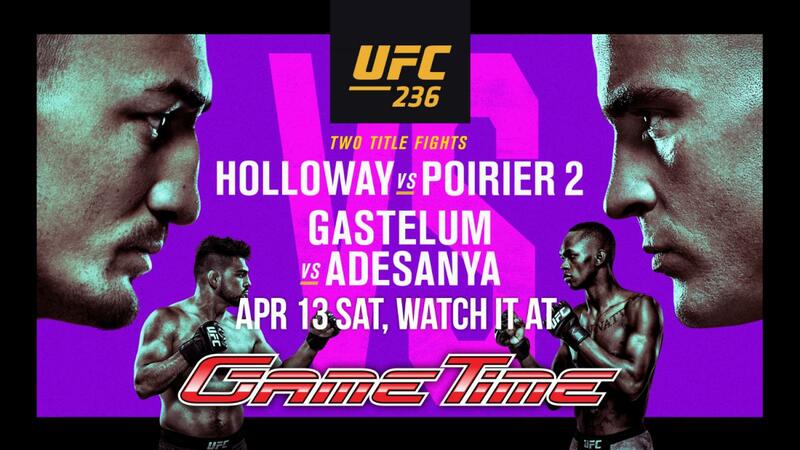 Watch UFC 236 at GameTime! Get to GameTime to watch Holloway vs Poirer 2, Gastelum vs Adesanya fight on over 60 HDTVs throughout the restaurant and sports bar. There is no cover, a great food menu, cold drinks and good entertainment! Stay connected to all the best fun happening around you! Register now at 813areaand 727area. It's free and totally awesome!